Mt. Pisgah & Mt. Hor – the famous cliffs that tower over Lake Willoughby – look for the rare arctic plants that make their home on the rocky walls carved by the glacier, and try to spot the nests of the Peregrine falcons who make their home here. Wheeler Mountain – a scenic 1/2 day mountain hike for those who like to scramble, featuring barren rocky outcroppings and panoramic views. Bald Mountain – the fire tower atop Bald Mountain offers an incredible 360-degree view! Or checkout humped shape of Haystack Mountain. 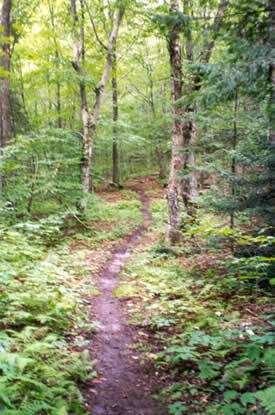 The Green Mountain Club – maintains two camps in Barton, which are both available for rent year round. Moose Mountain – accessed from the Wheeler Pond parking lot, the 1/2 mile hike up to the Moose Peak Lookout is the perfect climb for beginners and families. There are fascinating rocks to climb up/on/and through, and a very rewarding view of Wheeler Pond and the surrounding mountains. The Brownington Historic District – The Old Stone House Museum’s grounds take up 55 acres with paths, beautiful views, and a lookout tower. 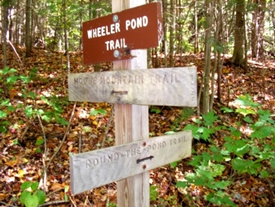 Wheeler Pond – a perfect trail for beginners, this short loop can also be combined with the Moose Mountain hike. 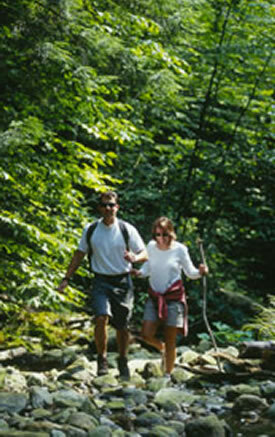 Burke Mountain – Kingdom Trails – a new trail system provides solitude and miles of exploration. Contact East Burke Sports for more information.